Throw everything into the blender and blizz for about 20 seconds. You may need to do this twice and scrape around the sides of the bowl in between. 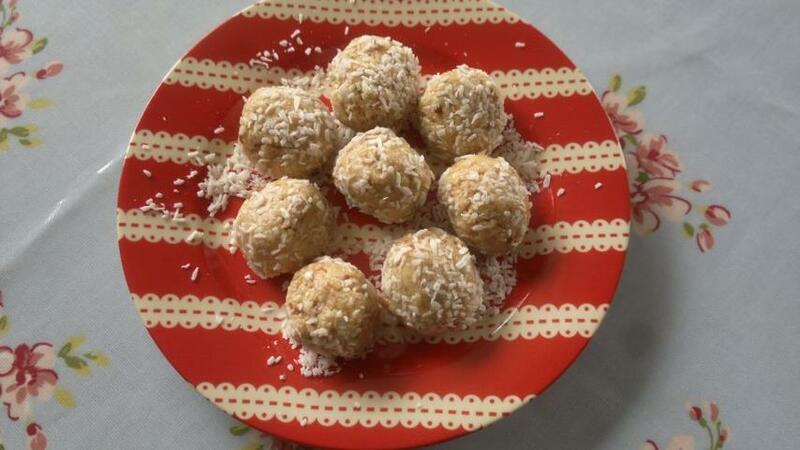 Roll the mix into even sized balls then roll in a little extra dessicated coconut. 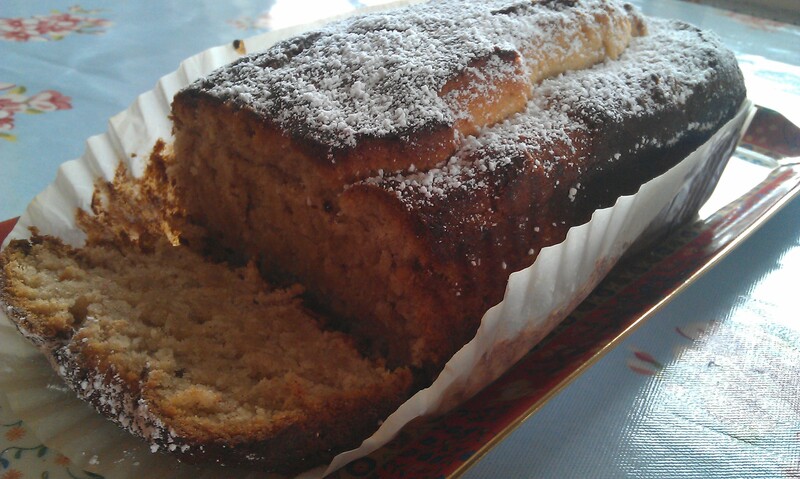 I just love this cake. It’s so quick and easy to prepare and with only one bowl to wash up afterwards!